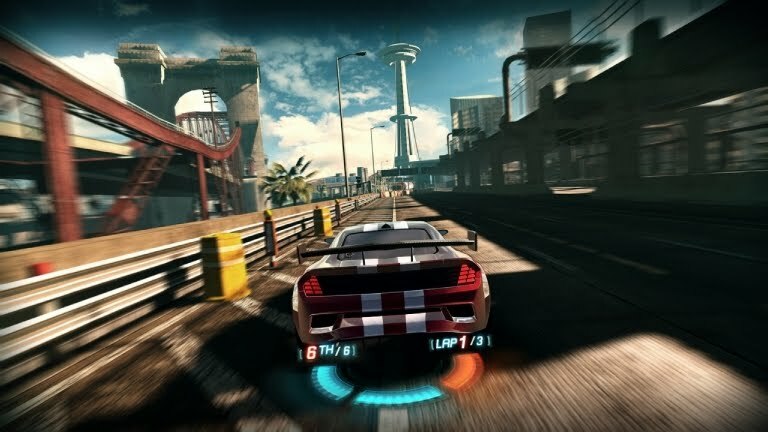 Split/Second is a hectic arcade action-racer developed by Black Rock Studio and published by Disney - and yes, it's the 2000s, Disney can make a killer racing game if they want to. The game was released today, so be sure to give it a try. The demo just doesn't do the game justice, as there is a limited amount of things to trigger on the map, which is a key selling point of this game. The gameplay of Split/Second reminds me of Burnout, except the point isn't so much to crash other cars as it is to blow up the track, leading them to crash. The more dangerously you drive, the more points you have with which to blow things up – these “power plays”, as they're called, can range from simply creating a shortcut for yourself or igniting obstacles in the middle of the road, to wreaking absolute havoc by destroying an entire section of the track and forcing players to reroute through dangerous terrain. What makes this game truly shine is that – because of the colossal amount of things you can damage on a track – no two races will be identical. Even if you've only unlocked a few levels, you get a different experience every time. The game has very few low points, as far as I am concerned. While it's not very hard to maintain your position if you're ahead, it can be hard to catch up when you're far behind. The ability to blow up your surroundings is only really useful when you can actually see other racers in front of you. The one thing that doesn't sit well with me is the storyline – rather, the inclusion thereof. 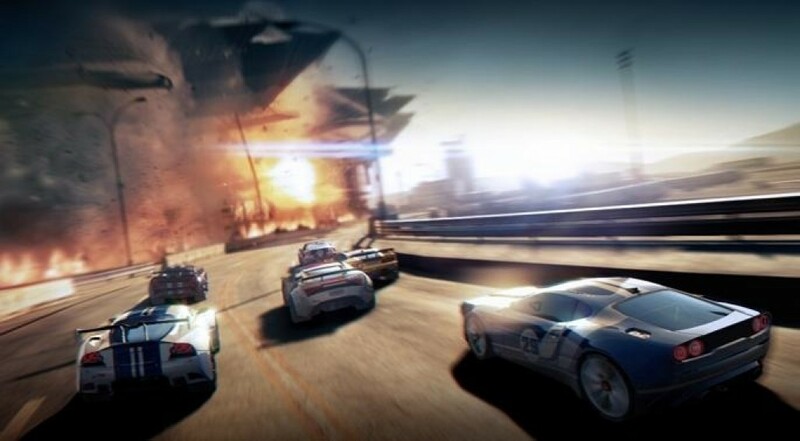 Does an arcade racer really need a story? Can't we just blow things up and drive fast for the sake of blowing things up and driving fast? The premise of the game is that you are participating in a reality show in the future, which has an infinite budget. Okay – but why wasn't this theme really pushed to its logical limits? Sure, there's the gratuitous use of lens flare and bloom effects, and each episode has a “promo” before and after the racing, but there's a conspicuous lack of a cheesy host doing a play-by-play during the race. It's such a minute complaint, considering how spectacular the game is, but when a developer puts so much effort into the details of a game, it's sad to feel like something is missing. I'd like to finish this off by showing you a video from the media launch of Split/Second that took place last week. We were driven around a track by professional stunt drivers who have been pulling off life-or-death stunts for much longer than I've been alive. It was lots of fun, even if it was a little terrifying.